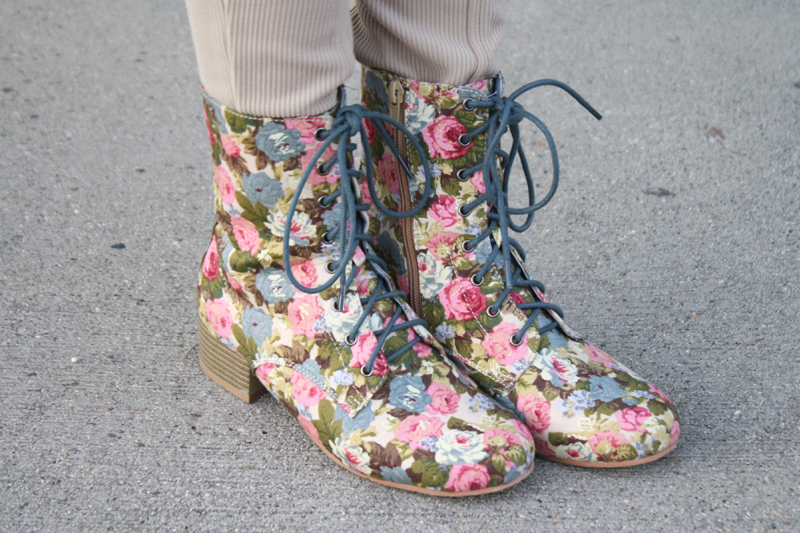 Today I present to you just a simple outfit with some funky floral boots! 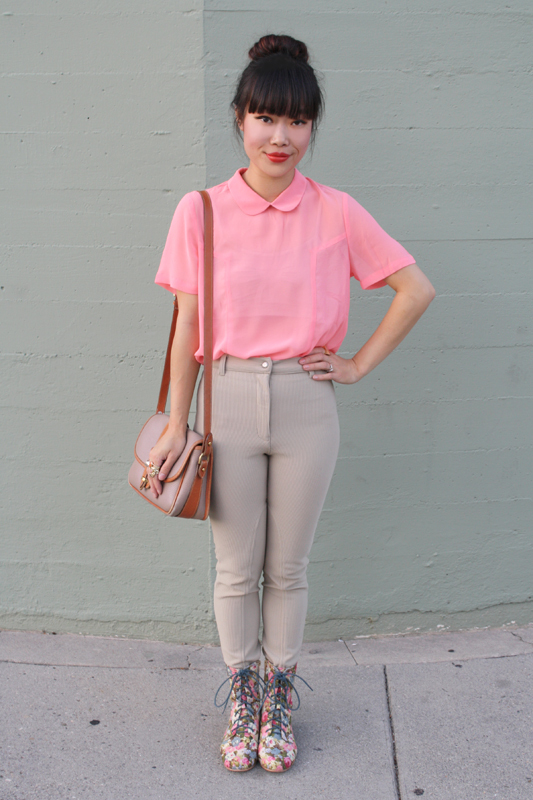 Peter pan collar chiffon blouse with vintage high waisted riding pants which I can't seem to stop wearing. 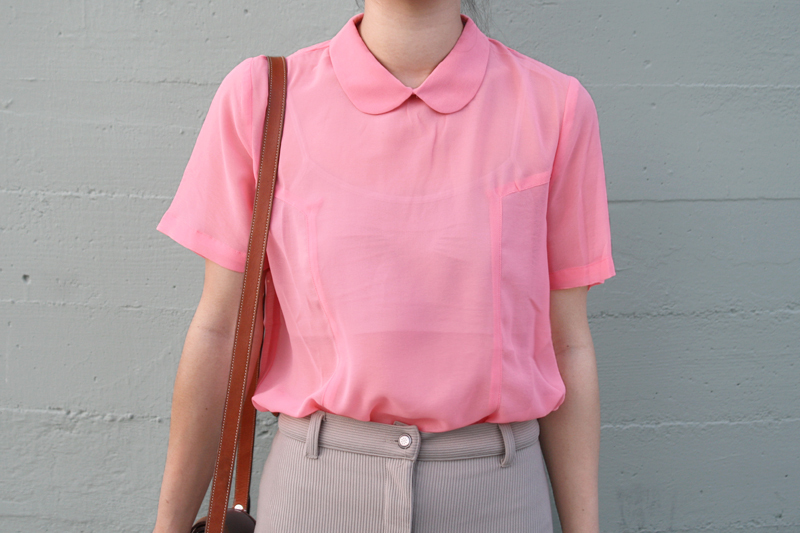 I love the color of this peter pan collar blouse. 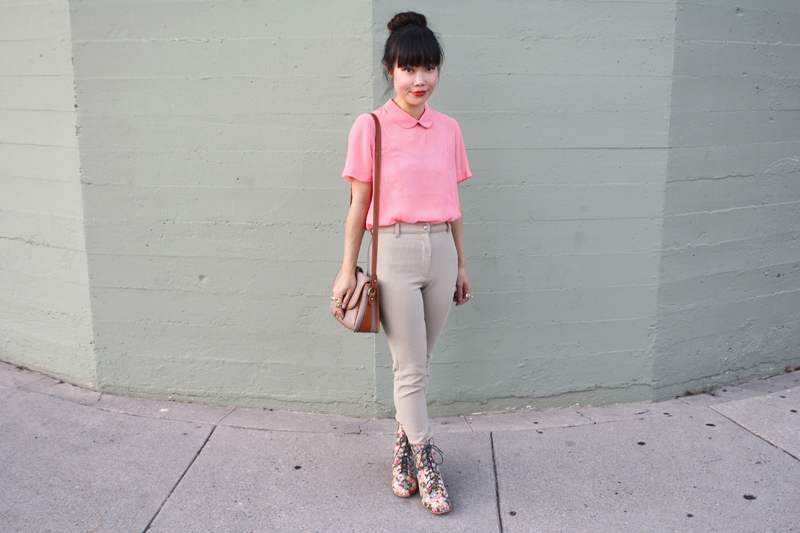 It's a muted neon pink and it matches the boots oh so perfectly! 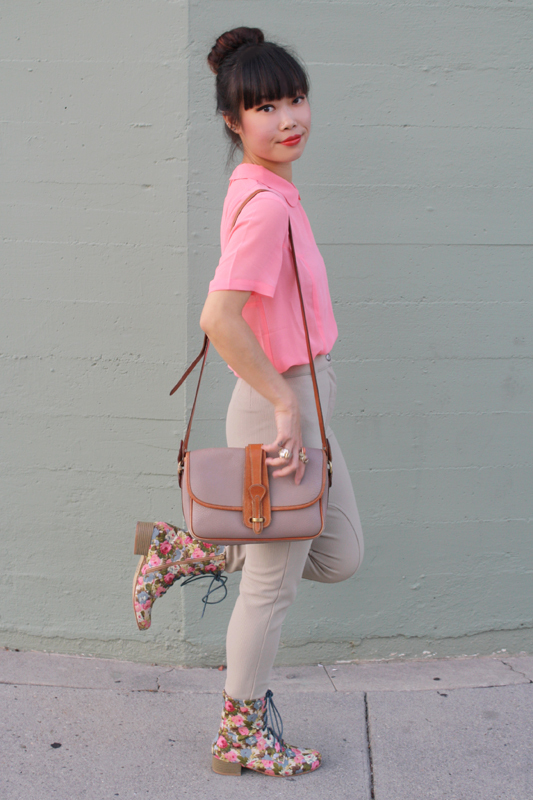 The boots are so busy and fun that I only need a simple outfit with solid palette to complete the look. 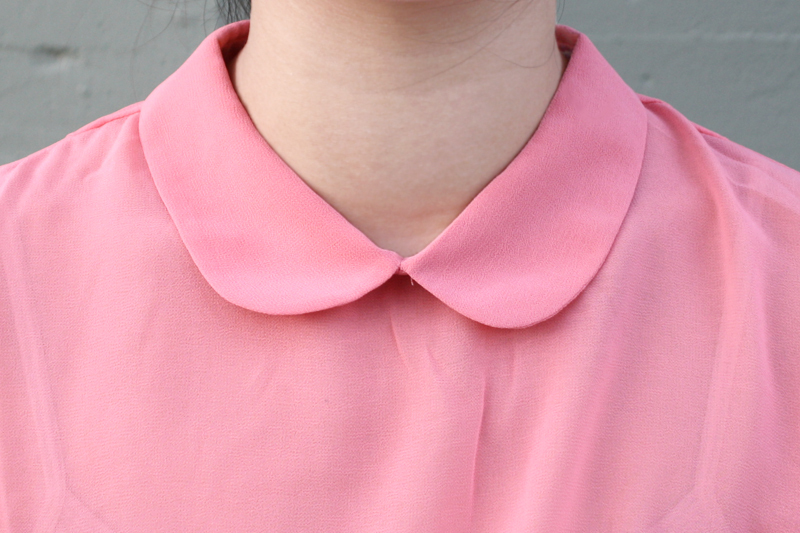 Peter pan collar chiffon blouse by Cotton Candy from my work Sway. Thrifted vintage leather bag by Dooney & Bourke. 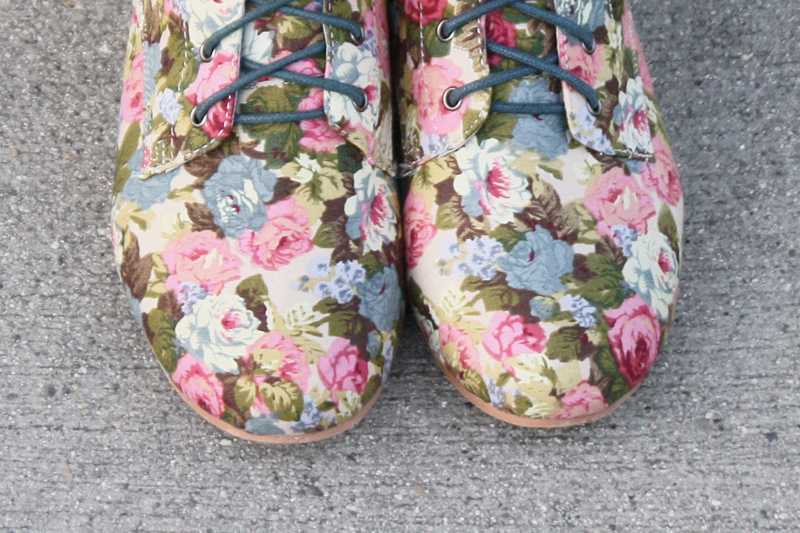 Floral boots by Bumper from UrbanOG. Woooow! Love love ur shoes!! <3 and the shirt is putrageous! such sweet boots and love the collar!